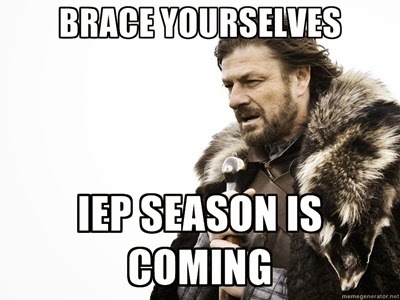 'Tis IEP Season! - I Love ABA! 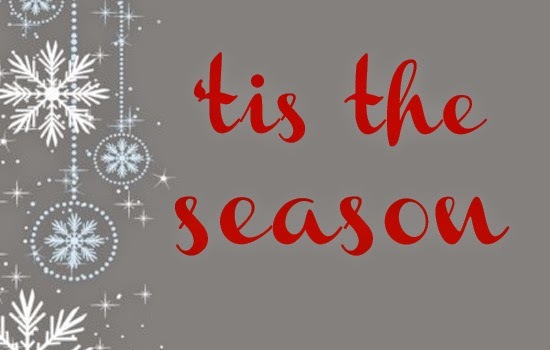 It’s that lovely time of year for me again, where I have multiple IEP meetings to attend across multiple clients, or reports to write to submit at IEP meetings, or data to compile to share with the IEP team. Or, I come up with posts due to being frustrated or irritated with a situation (now you’re probably going to go back and re-read all my posts to see if you can identify the ones I wrote while highly frustrated. Have fun with that!) . To all the educators, administrators, and school professionals who approach the IEP meeting as a truly collaborative process can I just say THANK YOU. You make my job so much easier, and other ABA professionals like me. 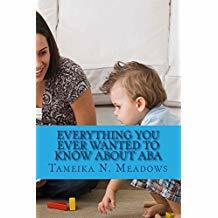 We as ABA professionals understand that schools everywhere are dealing with more and more special need students, and smaller and smaller budgets to help them. We understand that you teachers have entire classrooms to teach, and don’t have the luxury to work 1:1 like we do. We understand that just like us, teachers work a full shift, and then go home and work another full shift of administrative work. We appreciate all that schools do to help our clients and to support their families. 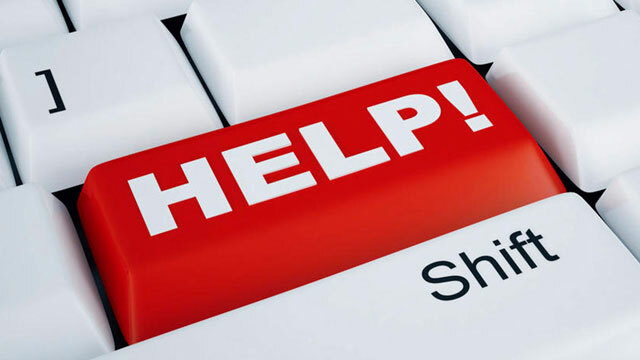 However, this post is more directed at the educators, administrators, and school professionals who make the job of the ABA professional much harder. You refuse to read our reports that we take hours to put together. You dismiss our data, or barely glance at it. You insult the families we work with in IEP meetings, or tell a concerned parent to “calm down” or call them “unreasonable”. You add stress and anxiety to a family that is already stretched thin from living with Autism 24-7. I hope that a quick and simple list of ways to effectively collaborate with the BCBA or the ABA team can help shed some light on how you can have a better relationship with us, and maybe also help explain where we are coming from. Despite what some of you may think, we don’t show up at IEP meetings hoping it will go badly. We show up to support the family, to represent the science of ABA, to advocate, and most importantly: to speak for our client. I know of families who will bring a photo of their child into IEP meetings specifically to keep the focus on the individual receiving services, and not on egos, degrees, titles, or arguing over accommodations. Classroom Observations- In order for the ABA professional to do their job, they often need to see the problem behavior in action. This is why we ask to come into your classroom to observe our client, at the particular times when the behavior usually occurs. We also need to observe what is going on in the environment: what happened before the behavior, after the behavior, who was present, was it loud, quiet, etc. All of this helps us determine why the behavior is happening and once we know that we can come up with a plan of action. Which we can then share with you. Please allow us to come into your classroom to do this. Classroom Facilitation- For some individuals, they may require more support or intervention than the classroom can provide (even a special education classroom). This means that the ABA team would attend school with the client in order to collect data, manage behaviors, or break down skills so that child can benefit from instruction. 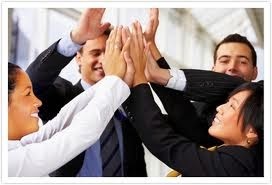 The facilitator is not there to harass or offend you, they are there to help the client. Just the data collection alone that is often necessary to properly serve a client, may be far too time consuming for the typical teacher. This is why allowing the ABA team into the classroom can be a great idea. 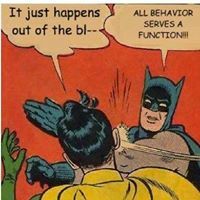 Conducting a FBA- When problem behaviors that disrupt or interfere with learning are regularly occurring or are increasing in some manner (getting more intense, occurring more often), the next step needs to be a Functional Behavior Assessment. This is a process of closely analyzing and observing the behavior to determine the function. What is the motivation or pay off for the individual who engages in the behavior? What is reinforcing or maintaining the behavior? Without completing this step, any strategy, procedure, or intervention that you come up with is basically a guess. I can tell you, the family won’t appreciate you “guessing at” how to manage their child’s behavior. A FBA should be conducted or supervised by someone qualified to do so (which is why the ABA professional may ask who completed the FBA). Creating the BIP- Once the FBA has been completed, the next step is a plan of action. Often called the Behavior Intervention Plan this document details exactly how to both prevent and react to the problem behavior. Please understand that the ABA team will be very interested to read and review the BIP because we probably have a Behavior Plan for the client in the home setting. For the client’s best interest, these documents need to be comparable to each other. We have to make sure we are not intentionally or unintentionally reinforcing a problem behavior in one environment that is being punished in another environment. Again, a BIP needs to be created or supervised by someone qualified to do so. The 3 R’s, but what about friends? ?- It’s an IEP….we’re in a school….I get that. Obviously academic goals are important, and ABA professionals want their clients to perform at or above grade level if they can. We also want our clients to learn how to interact socially, display social eye contact, share, take directions from multiple adults, wait, transition with a group, play Tag at recess, etc. The ABA team and the parents may want to add multiple socio-behavioral goals to the IEP. We push for this because in the home setting we don’t have a pool of 200 other 1st graders to use. School has a unique advantage over us, in that you can teach my client to appropriately respond to a greeting multiple times a day, using a different person each time. I can’t do that in a home 1:1 setting. Sharing is Caring- At any time, you can request the home ABA team share documents, reports, or data with you. We actually like it when you ask us to share because it shows you want to collaborate. However, please reciprocate. Let us know how our client is doing in your classroom, are they making friends, what problem behaviors are you seeing, etc. For example, I know teachers collect data on the IEP goals or when physical management needs to be used (like a restraint) but the families I work with almost never see this data. Why? It would be extremely helpful for us to know this information. Act as if my client is your only student- Let me give you a tip: parents of children with special needs can be very egocentric. That isn’t an insult, it often is a way of survival for them because in order to help their child they have to narrow in and focus on that child day and night, and fight for services and support. Due to this, you talking about your student from last year who is “just like Joey”, or your son who is “just like Joey”, or the student down the hall who is “just like Joey” will not go over well with Joey’s parents. They do not want to hear about what worked for a different 4 year old with Autism. They only want to talk about their 4 year old with Autism. So do yourself a favor, and use the IEP meeting to only talk about their child (another free tip: please don’t say “You know, I do have other students!” Parents find that really offensive). Be Nice- So #10 is the most important item on the list, and seems like it would be unnecessary to have to say. Yet I often walk into meetings full of school professionals who are frowning, look angry, or all have their arms crossed. Why? Let’s not approach the meeting like a battle. Please don’t walk into the IEP meeting with a look on your face that says “I wish I was anywhere but here”. Because you know….we can see your face. So smile! Shake our hand, introduce yourself, and Be Nice. *Link- Huge IEP database with checklists, infographics, videos, and articles about preparing for the IEP process.